Bloomberg Media has bet heavily on advertising, but its move to a subscription model shows its chief executive and editor-in-chief are aware of the need to add value elsewhere. "No news provider has maintained much of a profit out of advertising, no matter how big its audience," John Micklethwait, global editor-in-chief of Bloomberg Media, declared when he explained to readers why it was putting up a paywall for its consumer news service in May. Even "old, advertising-first fiefdoms" such as Condé Nast and the Los Angeles Times are adopting subscription models in the age of Netflix and Spotify, Micklethwait noted. Bloomberg, the US financial news and data giant, which sells its Terminal financial software system to corporate customers at a cost of upwards of $20,000 a year each, has never been an advertising-first business. Subscriptions bring in close to $9bn in annual revenues for Bloomberg and its new, Norman Foster-designed office in the City of London exudes wealth, with its black, brightly lit interiors and huge circular staircase. However, Bloomberg Media – the consumer business, which includes its website, Bloomberg TV, radio, magazines such as Bloomberg Businessweek, live events, licensing and distribution – has bet heavily on advertising. Bloomberg Media’s strategy, under the leadership of Justin Smith, its chief executive, and Micklethwait, has been to expand the global audience and generate extra revenue. Arguably it has worked, despite some bumps, notably when its UK commercial operation expanded in 2014, only to be cut back 18 months later. Bloomberg Media has nearly doubled its online monthly audience to 93 million in three years; Bloomberg TV reaches 450 million homes. "On many metrics, it’s the largest global business and financial media company," Smith says, sitting alongside Micklethwait. "None of our competitors operate as globally and across as many platforms as we do." He name-checks what he calls the "Europe-centric" Financial Times, the "US-centric" Wall Street Journal, CNBC, The Economist and Business Insider. Digital generates more than half of Bloomberg Media’s turnover, and digital ad revenues leapt 26% last year – proof it has "bucked the trend" when other media owners have been squeezed by the Google-Facebook duopoly, Smith says. However, ask him whether Bloomberg Media is profitable, or suggest it makes $400m-$500m in annual revenues, and he will say only: "We don’t disclose our financials." Still, Micklethwait’s admission that news makes little profit out of advertising is telling, and Bloomberg Media’s digital ad growth rose only 12% in the first quarter of 2018. Smith is bullish and "aiming" for total revenues to rise by a double-digit percentage in 2018, up from single digits last year, as live events and licensing fuel growth. The metered paywall (from $34.99 a month) and user registrations should help. A registered reader can see up to 10 stories a month for free. Given that former New York mayor Michael Bloomberg built his business on subscriptions, it is a wonder it has taken so long to set up a paywall and register users. Smith insists Bloomberg Media is committed to advertising, noting it has hired Andrew Benett, the former global Havas creative boss, to be chief commercial officer and create a "more upstream", "client-centric", "business consulting" proposition for brands. A recent example involved making a series of videos and articles for Facebook Business and using artificial intelligence to identify audience traits and target small businesses. But Smith admits: "The reality of media in 2018 is you need to be very actively pursuing multiple revenue streams to maximise not only your revenue but also to have a hand in learning and experimenting and innovating around a range of revenue opportunities still in flux." No-one has a "crystal ball" and it’s "too difficult" to dismiss any business model, including advertising-first, because the market is still evolving, he argues, although print newspapers face "very significant difficulties". When it comes to advertising, the key is to "differentiate" the offering, Smith says, citing Bloomberg’s audience data as an opportunity – for example, using IP addresses from oil companies to identify executives and come up with insights about the content and advertising they like, when they consume it, and so on. "We want marketers to say, ‘If I want to reach a business audience, if I want to understand how business people consume media and consume products, Bloomberg has the most intelligence, the most data, the deepest global reach, the most platforms and the smartest consultants and advisers, not sales people, that can help us navigate this space and inspire ideas and creative concepts that can move the needle for our businesses,’" Smith says. The days of a deal over a "steak dinner and wine" are gone. "Media companies that understand their audience very well and have lots of proprietary data on that audience can have a significant leg up on traditional agencies in terms of having solutions for clients," he says. Simon Davis, UK chief executive of Blue 449, whose clients include Hewlett Packard Enterprise and Mandarin Oriental Hotel Group, remains to be convinced about Bloomberg Media’s "attempts to reposition itself as a consultant to the client". Davis also believes Bloomberg TV faces headwinds because of "weakness" in pan-regional advertising as many global brands "favour a more measurable and accountable, market-by-market approach". Ultimately, it’s the journalism that matters. 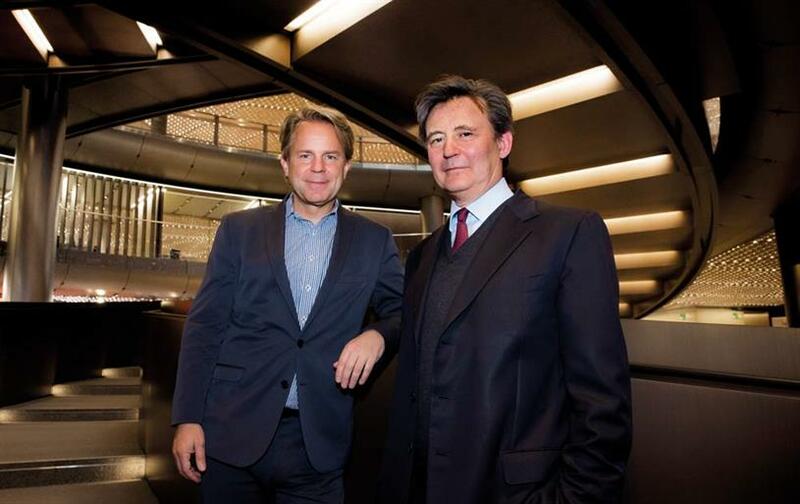 Micklethwait says the 2,700-strong editorial team has been producing better work since he increased the focus on business and finance and reduced coverage of non-core subjects such as sport. Bloomberg broke the news of seven of the 10 biggest M&A deals last year, he claims. Micklethwait and Smith also launched a breaking-news feed on Twitter – TicToc by Bloomberg – with a live video stream, which seeks "to provide reliability" in the era of fake news. Automation – spotting key words such as "explosion" or "resignation" – is speeding up things, he says. "The value of news is still unbelievably high," he says. "If you break a deal, you can see the share prices move. If you reveal this happened in the Trump White House, that also does things. But it’s for an ever-shorter amount of time, so that puts quite an onus on us in terms of saying that the value of journalism now is: ‘Why did this happen? What’s coming next?’"
Fake news and brand safety are also making an impact, as Smith detects "a backlash among CMOs" who are thinking "as consumers and citizens" and starting to factor it into adspend decisions. He says: "We’re at the beginning of the techlash. This is still a rising tsunami." Micklethwait adds that reducing dependence on advertising has been good for mainstream news organisations such as The New York Times because they are more willing to challenge the tech giants. With most of their money now coming directly from consumers, he believes "it’s not coincidental that the treatment of Google and Facebook et cetera has got harsher". The future of news looks good, Micklethwait declares, when "you’re creating clever, premium content" and "not chasing clicks".